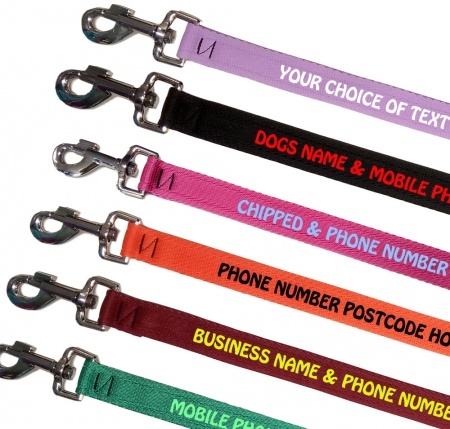 Our range of cushion polypropylene flat webbing personalised dog leads are available in a fantastic range of colours. 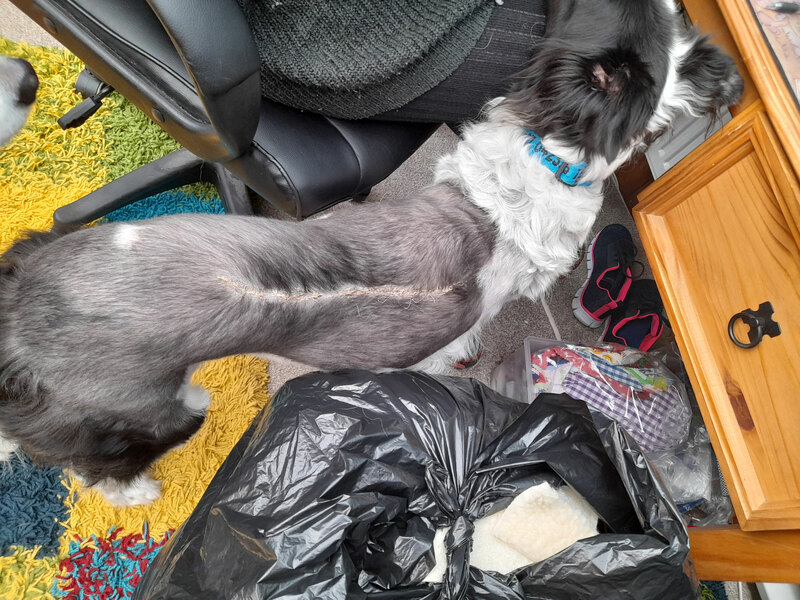 We have a choice of 20 mm webbing with a small trigger clip/hook for the smaller less strong dog, and the 25 mm webbing with the larger clip/hook for the medium to large dog. 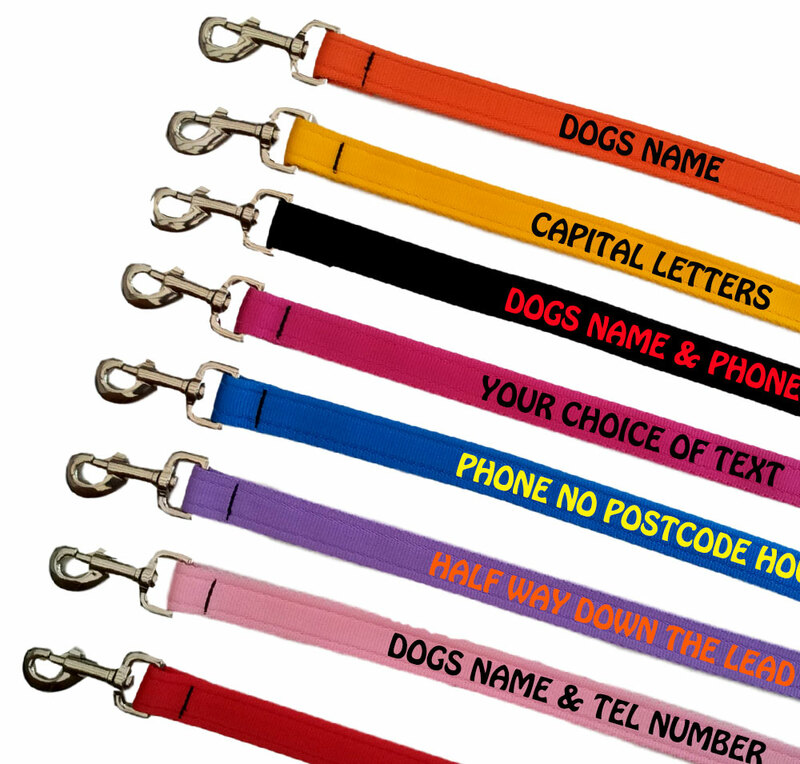 All our embroidered dog leads are strong, durable and long lasting.. 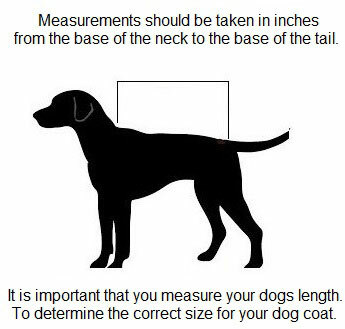 The price of the lead includes personalisation/embroidery up to a maximum of 27 letters including spaces. Arrived quickly, as advertised. Nice strong lead! Love this product but would like to be able to have more lettering. Very good, quick service, would definitely recommend.